Yesterday started off with a great WOD! We’re on a strength bias for the next few weeks so we did 5rm front squats, back squat to failure, and an AMRAP in 5 min of 105# hang cleans (150# for the guys). 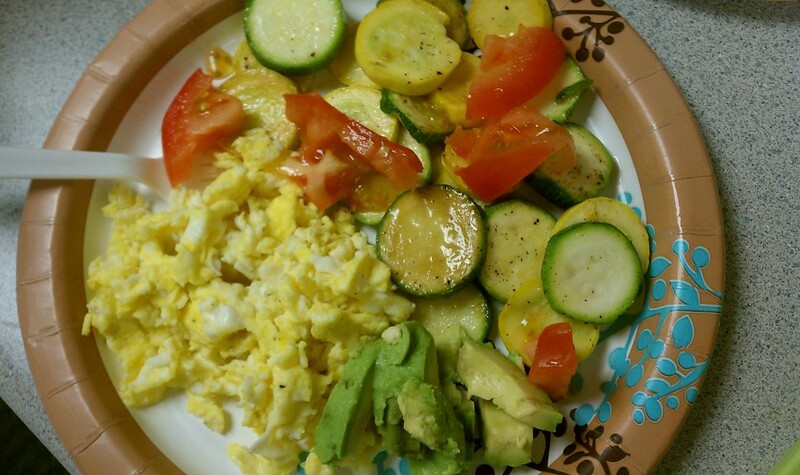 Breakfast: scrambled, organic, free range eggs, zucchini and yellow squash sauteed in coconut oil and coconut aminos with cracked black pepper, tomato, and avocado. Mmmmm….. 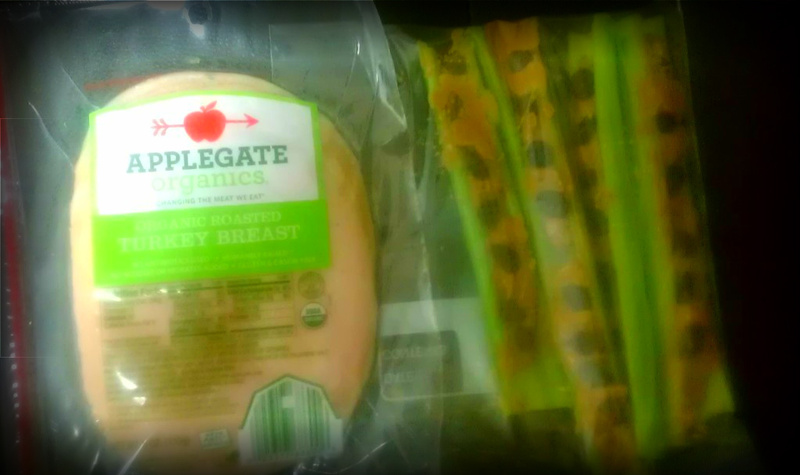 Snack: Ants on a log (celery, sunbutter, organic raisins) and some Applegate Farms turkey slices. 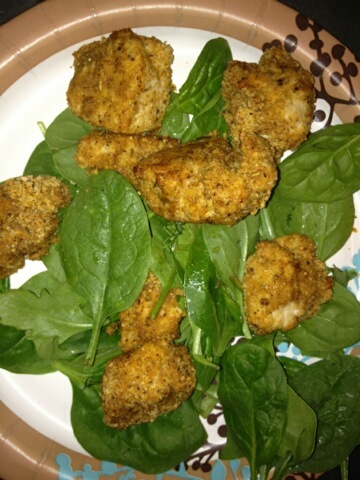 For dinner, I made chicken nuggets. I took the organic “happy” chicken breast and cubed it. Then I dredged it in egg and almond flour mixed with seasoning. I baked it in the oven and served it on top of an arugula/spinach blend. They were awesome. Next time I’m going to cook at a higher heat to ensure extra crispiness. 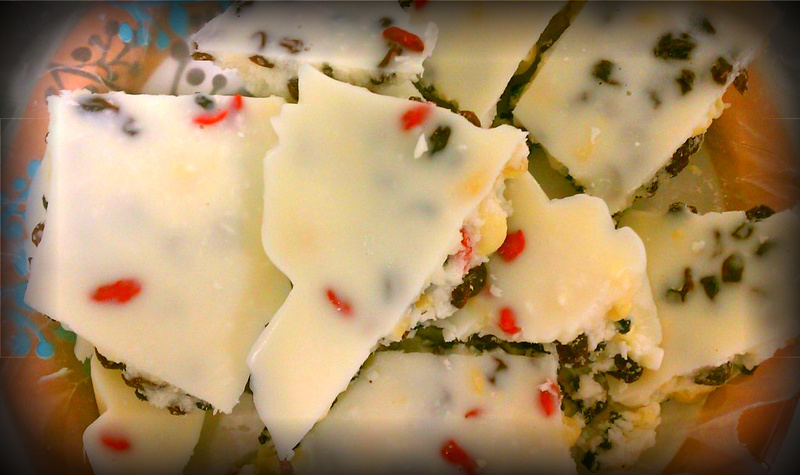 I had a bite of coconut bark for dessert and a little extra fat. Mmmmmmm…. Make sure you cook on high heat so they're extra crispy! Overall, day 2 tasted pretty delicious!